JMG Hostels Madrid, Madryt, Hiszpania : Rezerwuj teraz! 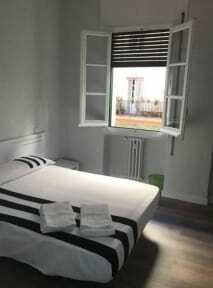 JMG Hostel Madrid is a hostel type hostel that has seven rooms. Six of them are composed of bunk beds and you can choose to have their own bathroom or shared as well as enjoy terrace in the room. We have a double room with a bed of 1.35 with its own bathroom. All this with breakfast and set of sheets included. 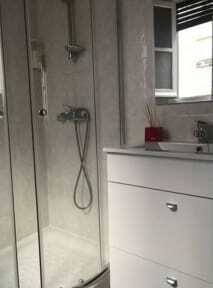 In the facilities can enjoy living room with tv, also lockers with key and service 24h. Apart from breakfast we have coffee and tea. The building has two elevators. We are in one of the best locations of the city. We are near to the neighborhood of Chamberi as well as we are just a few minutes walking away from some of the most relevant landmarks of the city such as Teatro Quevedo, Plaza Dos de Mayo and Anden Cero. In addition , near to our facilities there are several metro stations, so you can take the metro to explore and discover the city. We are oriented to offer several accommodation options, mainly dorms for those venturesome travellers that are seeking for adventures and fun. In addition, we also feature a private room ideal for couples. Wer have as well several amenities and common spaces in which the guests can speak about past experiences and future plans.